200 Ton Minster – StampTech Inc. Remarks : Customer came to us with an unusual application. They were stamping 8” diameter x ¼” thick, stainless steel washers and required the press to be inclined to allow gravity to get the part out. 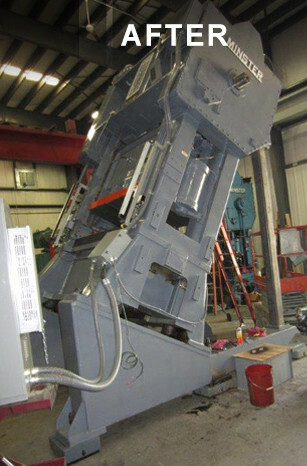 We designed and fabricated a weldment to support the 70,000 lb. press. We also had to modify the entire lubrication system to allow the lubrication to circulate. 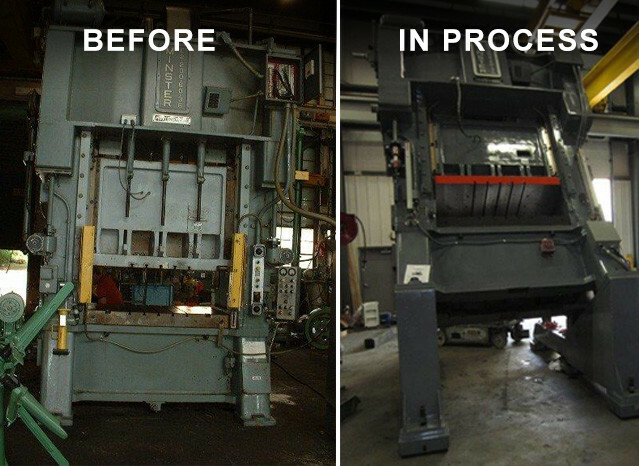 We rebuilt the press and added a new Wintriss press control along with a custom part knock out system.